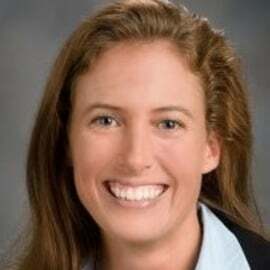 Dr. Mary Austin is an Assistant Professor in both the Department of Pediatric Surgery at the McGovern Medical School at the University of Texas Health Science Center Houston and in Surgical Oncology and at the UT M.D. Anderson Cancer Center. She completed her Surgery residency at Vanderbilt University Medical Center in Nashville, Tennessee. During residency, Dr. Austin also received a Masters in Public Health from the Vanderbilt University School of Medicine. She completed her Pediatric Surgical Critical Care and Pediatric Surgery training at Children’s Hospital Los Angeles in July 2010. Dr. Austin is board certified in Surgery, Surgical Critical Care and Pediatric Surgery. She has a special interest in fetal surgery, pediatric surgical oncology, surgical critical care including ECMO, and clinical research. Her research focus is aimed at understanding health disparities and barriers to surgical care for infants and children and designing innovative approaches to improve equal access to quality health care for infants and children.